Flood is one of the most devastating natural calamities with environmental and socio-economic impacts. Comprehensive flood management is essential to reduce the flood effects on human lives and livelihoods. 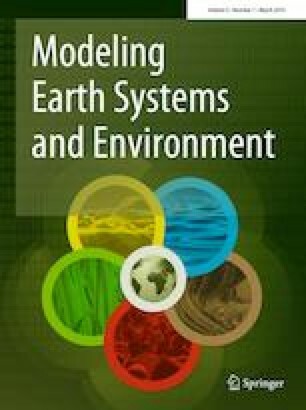 The main objective of this study was to examine the capability of geographic information system (GIS) in coupling with analytic hierarchy process (AHP) and frequency ratio (FR) model for flood vulnerability mapping. The study was carried out in two stages of analysis. First of all, a flood inventory map was prepared. Consequently, seven flood contributing factors viz. land elevation, slope angle, topographic wetness index, rainfall deviation, land use land cover, clay content in soil and distance from rivers were prepared for spatial analysis. Looking toward the flood records, a total of 270 flood points were marked from field study area, out of which 200 (75%) flood points were randomly selected for training data and the remaining 70 (25%) flood points were used for testing or validation purposes using prediction accuracy and success rate. The result revealed that distance from river, rainfall deviation and land use land cover have the great role for flood occurring in the study area with selected factor weight value (SFWV) of 0.33, 0.21 and 0.14, respectively. The validation result showed that prediction accuracy was 0.8142 and success rate was 0.8450 which may consider for validating the frequency ratio model that applied in present study. The application of AHP and frequency ratio model helps in identifying flood vulnerable zonation and potential risk area estimation. The findings from present study will be helpful for planner in flood mitigation strategies as a part of flood preparedness and will appear as a source for further research in the study area. We gratefully acknowledge the anonymous reviewers and the editor for their valuable time, productive comments and appreciated suggestions during the review which helped in improving the overall quality of the manuscript.